The Anil Ambani-led company aims to bring down its mounting debt and focus business on leaner and select sectors of the infrastructure business. Reliance Infrastructure's move to divest its power generation, transmission and distribution assets, if it happens, will lead to the city of Mumbai getting a new power supplier - Adani Transmission. The Anil Ambani-led company aims to bring down its mounting debt and focus business on leaner and select sectors of the infrastructure business. The divesture, as part of efforts to reduce R-Infra's debt of nearly Rs 29,000 crore, may fetch Rs 13,000-14,000 crore, say sources. Both the companies have entered into a period of exclusivity till 15 January to discuss and finalise the deal. However, attempts of the Anil Ambani led company to sell off this asset was not successful in the past. In November 2015, Reliance Infra made a non-binding pact to sell 49 percent stake in the business to Canadian Pension Investment Board, but that deal did not proceed further. Hyderabad based renewable energy company, Greenko, with support of Singapore's GIC and Abu Dhabi Investment Authority (ADIA), had submitted a proposal, but that also did not materialise. Sources say power companies like CLP India and R-Infra's main competitor in Mumbai, Tata Power and Ahmadabad based Torrent, were also assessing bidding for the Mumbai distribution assets, which has valid license until August 2036. Earlier, the company had signed a term sheet with Adani Transmission for sale of its WRSSS transmission assets and Parbati Koldam project. Reliance Infrastructure's main revenue earner, the Mumbai power distribution business has nearly 30 lakh consumers and distributes a peak demand of over 1800MW. Out of the company's consolidated turnover of Rs 28,222 crore in 2016/17, Rs7,532 crore were from this business. Apart from Mumbai, R-Infra has power distribution assets in Delhi, which has nearly 40 lakh customers. After the divesture, what remains with the company will be the Delhi distribution business, EPC, roads, Mumbai metro and defence businesses. In EPC, the company had Rs 2,492 crore of revenues in 2016/17 and with an order book of Rs ,5960 crore. It is executing a Rs 3,675 crore thermal power plant in Rajastan for Neyveli Lignite Corporation and is constructing a 66km road project in Tamil Nadu. Now R-Infra has 11 road projects and is transferring these assets to RInfra InvIT fund to monetise its investments. Its Mumbai Metro is still in the early stages and its plans in the past to undertake renovation of small airports have not met with much success. The company's current biggest bet is on defence. Its JV with Dassault Aviation is likely to play major role in meeting the offset obligation of Rs 30,000 crore for "Rafale 36" contract, hopes the company. Its Reliance Defence and Engineering Ltd expects to get a good share of the Rs 38,000 crore naval programmes. Its JV with Rafael Advanced Systems (Israel), to focus on Air Defence Systems including missiles and large aerostats, targets an opportunity worth Rs 65,000 crore over next 10 years. Its partnership with Antonov (Ukraine) for transport aircraft is estimated to be an opportunity worth Rs 35,000 crore over next 10 years. It is also targeting the large scale ammunition market globally worth Rs 65,000 crore over next 10 years. 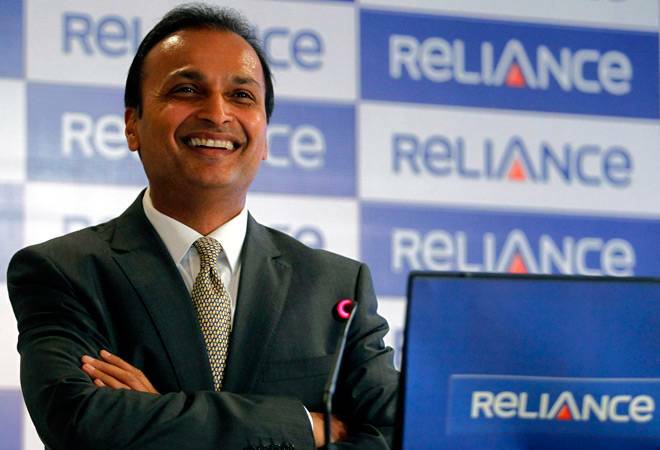 For the time being, the focus for Anil Ambani and his team will be to execute the deal with Adani Transmission, which will be foraying into power distribution business with the deal.